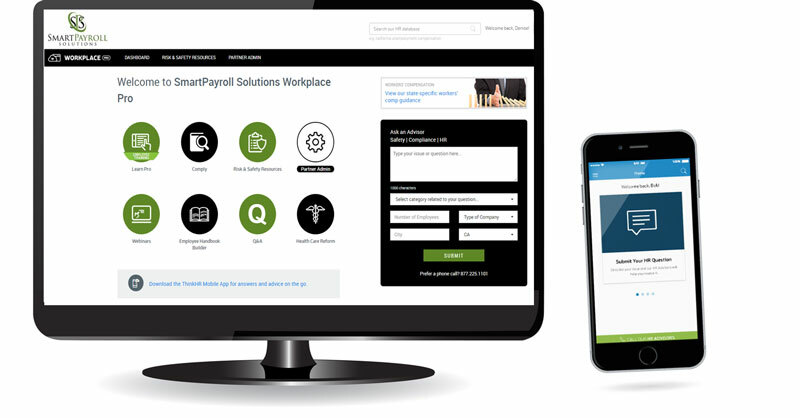 The Overview page will help you understand how SmartPayroll Solutions caters to individual businesses with customized, personal service. Feel free to browse or give us a call at (678) 775-6750 with any questions you may have. We process payroll from start to finish. With our robust system, you can choose to take control from anywhere at any time. We help businesses save thousands with tax credit services, Time and Attendance, Accruals, employee scheduling and more. Online and LIVE HR support with forms, tips, and tools for one affordable monthly rate. We now offer health, dental, life and disability for small businesses. Call (678) 775-6750 today for details. Useful information to help you run and GROW your small business. Clients have support options, including access to quick and easy tips in pdf format. Forms for clients with basic payroll package, or to print for your records. 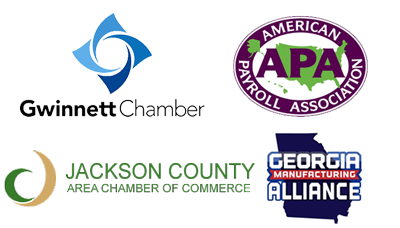 Links and resources for small businesses in Georgia. Why Do I Need HR Services? If You Have Employees, You Have Risks. Human Resources management is one of the most important functions of your business. Accurate record keeping, development of training materials for employees and keeping up with state and federal requirements are vital to your success. Why? Employees are your biggest asset—and biggest risk. Many businesses struggle to stay on track and could face stiff government penalties and even litigation. Yet, hiring a full-time HR professional might not be feasible. We can help! One flat, affordable, monthly subscription to our HR Workplace gives you access to state-specific compliance updates, forms, tools and online training. Even better, live support is included. Business owners in Atlanta and the state of Georgia rely on Smartpayroll Solutions for their Human Resources needs. And so can you! Let us help you with HR, so you can focus on growing your business. A team of HR consultants is standing by to answer your questions or provide advice. This phone-based support service is available from 9 a.m. to 8 p.m. ET each business day. Get help any time with our powerful, award-winning online resource center for all of your workforce issues with hundreds of forms, tools and commentary on best practices. Grow a healthy workforce with the power to curate, administer, track and report on online employee training programs. Stay current on state-specific regulations and changes that can impact your business. Get access to our complete resource database and live support anywhere, anytime. A low, flat monthly fee gives you access to all features. Easy to use and fully automated, leaving you time to focus on growing your business. Pre-populated key compliance dates and reminders to get your business workforce on track and stay on track. Build a comprehensive employee handbook with minimal effort. Includes important state and federal requirements and notices! Now you can create a comprehensive employee handbook that complies with all current state and federal employment regulations, with minimal time and effort on your part. It’s available at no cost as part of our HR service. Minimize your risk of employment liability with clearly communicated, regulatory compliant policies. Reduce the strain on your staff with pre-developed content, step-by-step instructions, expert commentary and online support. Deliver a current, comprehensive, compliant handbook quickly without cutting corners. Learn more about employee handbooks. When any business owner or manager has a Human Resources issue, there is no substitute for talking with an expert. Experienced HR consultants are there when you need them to point you in the right direction, offer advice or coach you through urgent HR and workforce management issues. The Live team of HR consultants is available via phone so that you are not left waiting hours or days for answers to your HR questions. We’ll even email you a summary of the call and our advice for your records. You can also submit your questions through your HR Workplace dashboard and mobile app. The HR consultants have been in the trenches as HR directors and managers dealing with the same issues you encounter as a business owner each day. They have the experience and know-how to solve even the most complex HR issues. These senior level, PHR® and SPHR® professionals have national and state-level expertise. Our live HR consultants take the time to understand your specific situation and business needs. Because we answer thousands of Human Resources related questions each year, there’s almost nothing we haven’t heard. Our team of HR experts can provide the answers that you need, usually in just a few minutes. Our HR compliance system provides thousands of state-specific forms, documents, tools, and checklists plus current news you need to take the mystery out of human resource management. There is no need to download, print and complete our HR forms. We provide dynamic tools that allow you to create and update content online, ensuring you can access the most current information. Because our HR compliance system is cloud-based, information on policies, laws and HR best practices is continually updated and always current. Our Q&A Database gives you access to questions from business owners just like you plus answers from our HR live team. You also get the latest policies and forms on topics like hiring, time off, compensation, and benefits. Our HR professionals know the areas where you could use a hand—creating employee handbooks, developing job descriptions, writing performance reviews, or even aligning and finalizing compensation. We’ve created easy to use, cloud-based tools like our 50-State Employee Handbook Builder to help you complete these tasks while ensuring you remain in compliance and avoid liability. Our HR Learn system delivers the courses and solutions that matter most to businesses, helping them stay compliant and empowering their employees with the information and tools to grow professionally. You have a lot to do. We understand that! That’s why staying on top of details like which employees have completed training is a snap our system. Our reporting tools allow you to quickly see who has completed a course and when. Plus, when an employee completes a course, you will get an instant notification. You can also download your reports quickly and easily. You can access the system from multiple locations and allow more than one person to administer training courses? Our goal is to help you get the best from your valuable employees, so our training courses are not limited to compliance. We offer courses that will help employees develop the skills they need to succeed and to help you grow your business. Our HR Insight updates are perfect for the busy business owner with current, need-to-know news and analysis on employment law, ACA, legislative updates, and compliance changes. The HR world is constantly changing and, regardless of size, your business needs to keep up. The information provided with HR Insight will help you remain in compliance and avoid mistakes that could put your business at risk legally. Save money. Gain peace of mind. Avoid urgent phone calls to expensive labor attorneys with questions when legislation and labor laws change. With our HR Insight, you’ll get the facts and advice you need to modify your business processes as needed. And not only will you save money, you’ll gain peace of mind. Our HR customers have access to dozens of HRCI- and SHRM-approved webinars each year. With topics ranging from ACA reporting to the IRS to preventing and managing workplace injuries to recruiting and retaining key talent, these webinars help our HR customers grow professionally and bring best practices to their organizations. Why waste another second trying to juggle payroll, taxes and Human Resources along with everything else it takes to run a business? Work SMARTer with SmartPayroll Solutions! Why waste another second trying to juggle payroll, HR and taxes along with everything else it takes to run a business? SmartPayroll Solutions' services include Payroll Services, Payroll Taxes, HR Consulting and Services, Background Checks, Workforce Management Tools and more! Payroll and related services are available in the state of Georgia, Human Resources services are available nationwide. We are conveniently located close to businesses in Atlanta, Duluth, Gwinnett County and surrounding areas. © Copyright 2016 SmartPayroll Solutions.